The 150th anniversary of the Civil War occurred last year and has been commemorated through an exhibit at Cincinnati Museum Center. 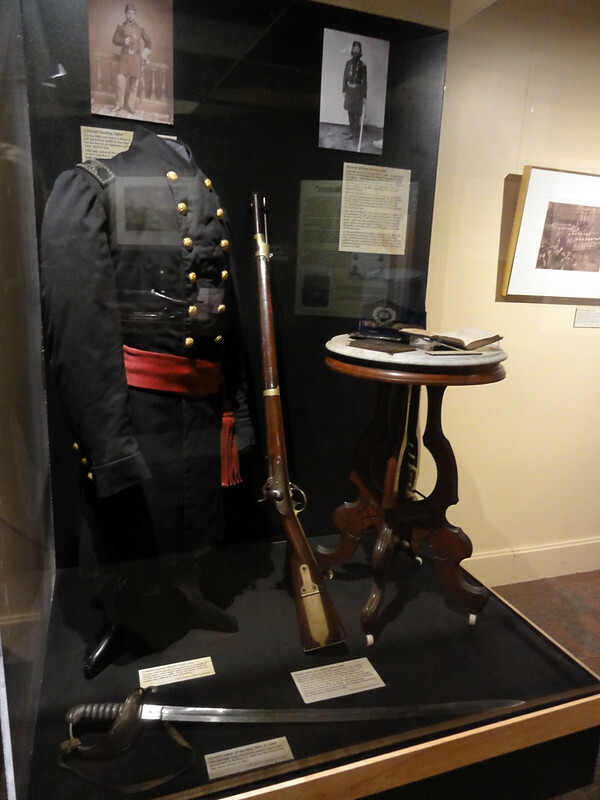 Located in the Ruthven Gallery, on the lower level by the Children's Museum entrance, visitors can learn about the defense of Cincinnati, the Battle of Perryville, and other events from the first two years of the war. 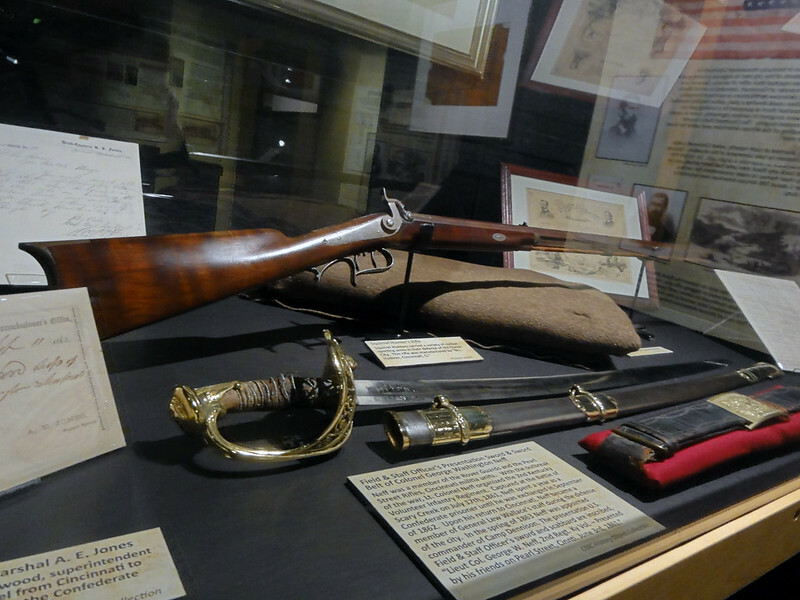 Cincinnati & The Civil War contains uniforms, weapons, and equipment of the common soldier as well as photographs, letters, and posters from the museum's collection. 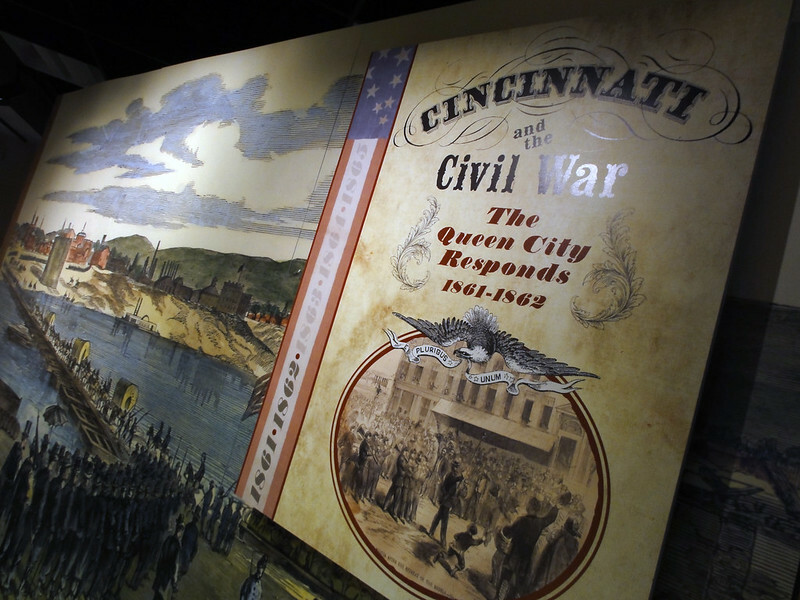 Among the most impressive items is a wall-sized flag of the 10th Ohio Volunteer Infantry, led by Colonel William H. Lytle, as well as a large mural of the legendary pontoon bridge that saved Cincinnati from Confederate attack. 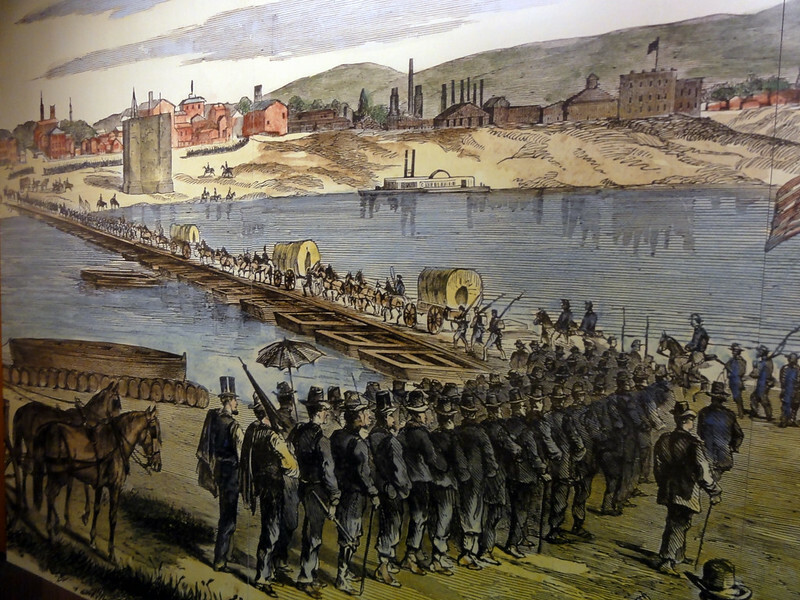 Union army crosses the pontoon bridge from Cincinnati into Covington. Uniform, weapons, and photographs of Colonel William H. Lytle. 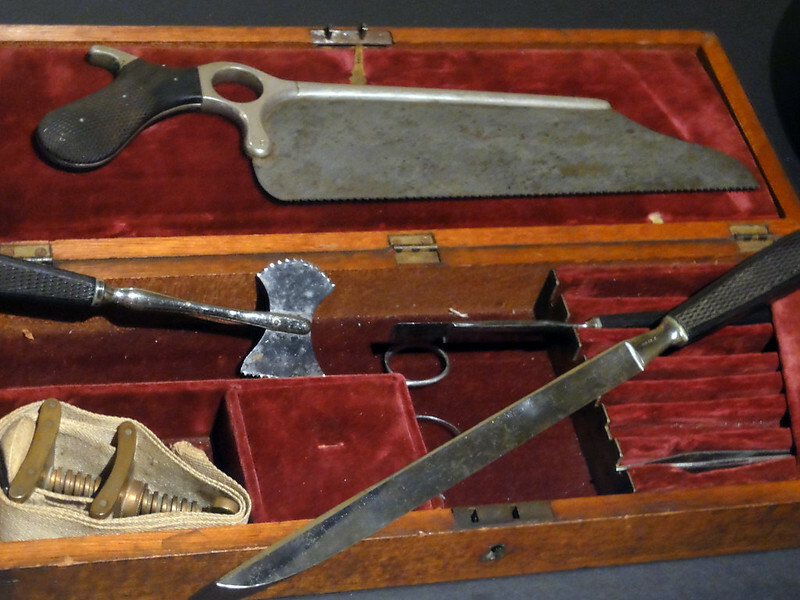 Military swords with a .52 Gwyn & Campbell Carbine, manufactured in Hamilton, Ohio. Free and open to the public through January 13th, Cincinnati & The Civil War is a fascinating display of local history that is not to be missed.